America has many stories and human portraits of pride. The faces of American pride are all around us. It's in the strength of the patriot flying his flag in defiance of his neighborhood home owner's covenants, it's in the face of the crying little girl sending her mother or father off to fight in a far away land, it's in the tear stained, stoic face of a military spouse holding the flag as they watch their loved one "coming home" from war and being lowered into their final resting place as 21 guns salute in honor, it's in the businesses who give military discounts in honor of the service these man and women have given our country and no where is it painted more vividly than on the face and memories of every military veteran who has experienced personally the price of American freedom. Today, the picture is painted in the words of American singer/songwriter, Kyle Jennings, as he releases his single, "Freedom Strong" of which sales proceeds will go to a project he stands for and lives for, "Project 13:13" to help America's wounded heroes. Having been raised in a hard working, blue collar family in Michigan, Kyle's upbringing was the picture of the American standard - a boy, youngest of 3 kids, whose mother was a part-time nurse and stay at home mom and whose father was a teacher. Kyle grew up learning home construction and when he wasn't on a roof with a hammer and a nail gun, he was on an ice rink with a hockey stick shooting pucks towards his passion and dream career, a professional hockey player. Kyle left home soon after high school to play Junior hockey in Ohio before joining the Springfield Junior Blues hockey team in the NAHL. He spent 3 seasons on the road traveling across the United States and Canada before being sidelined due to multiple concussions This turn of events eventually brought him back home where he would discover that he wasn't only passionate about hockey, but music as well. He found an old guitar under his grandfather's bed and taught himself how to play and his experiences on the roads led to songwriting. Before long, Kyle had established a name around Michigan, performing for crowds and a following of local fans. In 2002, he decided that Nashville was where he needed to be, so he packed his bags and hit the road once again, this time chasing a new dream, one of songwriter sessions, recording studios and performing the music he creates. Having met producer Bruce Bouton in 2003 and having released his first album, "Shine", Kyle once again hit the road and spent a few years opening for some of music's biggest names including Hank Williams, Jr. and Styx. He received accolades for his songwriting when his original song, "Can I Run in the Dark (and Still Walk in the Light)" was chosen as one of the top 15 finalists in the International Songwriting Competition. With several additional albums and compositions under his belt and after enduring many disappointments and heartbreaks, this gave Kyle the determination and grit to keep going and do even more with his music and his skills within the industry, it also gave him a strong desire to make a difference through his music. This desire to give back lead to Project 13:13. Kyle has always had a strong love of country and sense of pride. He's been a huge supporter of those who give in ways that a country can never repay and through what began as a challenge to give up drinking for a year between Kyle and his friend, Brian Schneider, turned into a competition to raise funds to help Wounded Warriors. Derived from Kyle's hockey jersey number and Schneider's old baseball jersey number combined with the meaning "faith, hope and love" from a favorite Bible verse, 1 Corinthians 13:13, Project 13:13 was born. The project's mission is to serve as an outlet to provide love, support and aid to returning soldiers who need psychological and financial help. The project's initial idea was to serve as a "surrogate organization" to Wounded Warrior Project. It now connects via various pro-military organizations to help fill a financial and comprehensive void that the government doesn't. This is done through fundraising events and acts of goodwill donations. April 2013 saw the first Nashville 3-on-3 Pond Hockey Classic which involved more than 30 various teams and over 200 skaters from Nashville coming together in a cross-ice pond hockey tournament, to successfully bring attention to, celebrate and raise money for our military veterans and their families. The event saw a final tally of more than $1,500.00 raised and is now a yearly event. Hockey isn't the only sport helping Project 13:13, Erin Glenn Golf Course in Janesville, WI showed their support by joining with Project 13:13 and Future Tour's Chelsea Bach and hosted her annual "Chip in Fore a Cure" event in the summer of 2013. Over 80 participants came together in an 18-hole 40-man scramble, private acoustic concerts and a sports memorabilia silent auction to raise $2,250.00 for the project. Proceeds from the sales of the single benefit Project 13:13 and those that need us as much as we need them, our veterans. All of us are connected through the strength of these selfless individuals who put their lives on the lines everyday to protect our freedoms and protect our country from those that want to do us harm. Let's not do them harm. Let's show them that we care. Pre-order the single on iTunes today and leave a review. 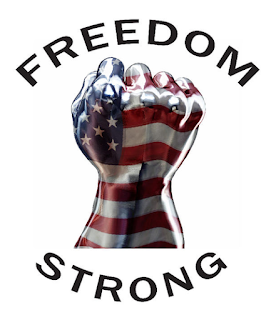 If you're on social media, use hashtag #FreedomStrong and let the world know that you support our veterans. It was important to them when they took the oath to serve and now it should be important to us to take care of them when they come home. You can also support by purchasing silicone wristbands and koozies at http://kylejenningsmusic.com/freedom-strong. Follow Jenn on Twitter at @lovinlyrics.